I spent a good chunk of the afternoon today hanging out at the Go Vegan Santa Barbara booth at the third annual Wags n’ Whiskers festival in Goleta. It’s the largest pet adoption festival in Santa Barbara County with dogs, cats, and rabbits from over twenty animal shelters and rescue groups. There was also a pet talent show, which was pretty weird; a pet training demonstration, which was probably helpful to pet owners (I wouldn’t know); and a police dog demonstration in which – and I am not making this up – festival-goers volunteered to be attacked by a police dog. The festival is organized by C.A.R.E. 4 Paws (C.A.R.E. stands for Community Awareness, Responsibility, and Education), an organization that promotes dog training intervention and spaying/neutering options to decrease the number of animals that enter shelters and to increase adoption rates. Part of me expected to see Bob Barker there, reminding everyone to have their pets spayed and neutered. 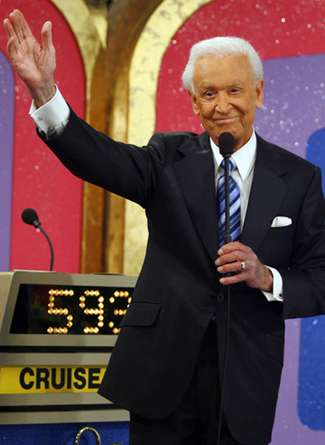 Then I remembered that he's dead no longer hosting The Price Is Right. Go Vegan Santa Barbara decided to set up an informational booth at the festival because, hey – these festival-goers were crazy about pets. If they loved animals so much, they might be open-minded about becoming vegan. Carrie LeBlanc (Go Vegan SB’s founder and director) and I asked the people who approached our booth if they were interested in learning about cutting down on the animal products in their diet. It was the first time I have ever tried to convince people they should become vegan. I didn’t even feel annoying about it because they were asking for it by approaching our booth. I also didn’t feel annoying about it because of the open-minded and encouraging attitude that Carrie promotes. If someone said, “I’m a vegetarian but I just love cheese so the idea of veganism is really intimidating to me,” we would congratulate them for the steps they had already taken and encourage them to keep doing what they could, providing them with some literature. One guy who came up to the booth was a skanky-smelling raw foodist who asked me slightly invasive questions and gave me the impression he was using the whole restricted diet thing as a way to pick me up. When I asked him why he was completely raw, he said he welcomed questions: “Help me help you!” I assured him I wanted none of his help. I was merely making conversation because as long as I was talking, I could breathe through my mouth without being obvious about it. Most of the people who stopped by had a dog in tow, so if the conversation got awkward I could just stoop down and rub the dog behind its ears, commenting on how adorable it was. Lucky for me, nobody stopped by with a cat for me to pretend to think was cute. I hate cats. They’re creepy and you never know what they’re thinking. Some of the people we talked to were already vegan and wanted to get involved with Go Vegan Santa Barbara, so we filled them in on upcoming events. Talking to them made me think I should get some more vegan friends. Like, you know, maybe one vegan friend. Today was the first time I’ve really felt like I stand for veganism. Obviously I’m not any kind of expert, but I’ve been vegan for five months now so I could speak from experience and give curious people advice about how to inch closer to a completely vegan diet. It came pretty easily and it felt pretty satisfying. "lucky for me, nobody stopped by with a cat for me to pretend to think was cute." LOVE THIS. sounds like a good experience. i'm glad you're not a raw foodist so you don't become a skanky-smelling obnoxious man. This is shannon, btw. my google account isn't working to post comments. So, did you get any of the "dogs in tow" to go vegan? That would be something to write home about! Asking questions are truly pleasant thing if you are not understanding anything totally, but this post presents nice understanding even.